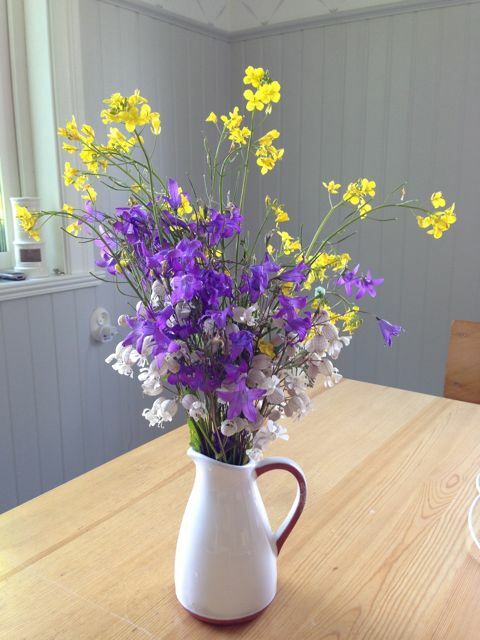 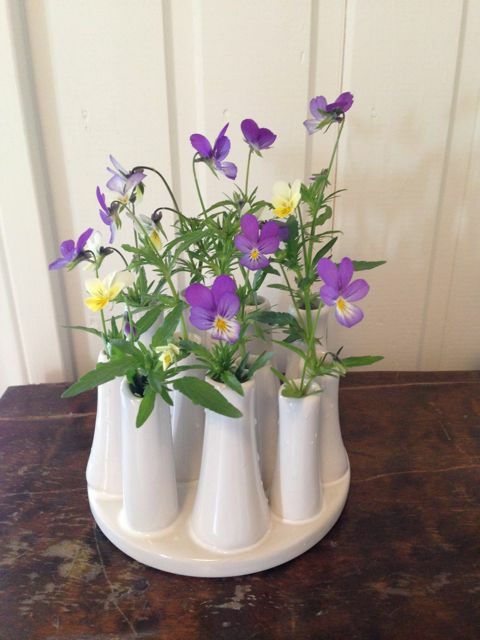 One of my favorite things about summer in Sweden is all the wild flowers. 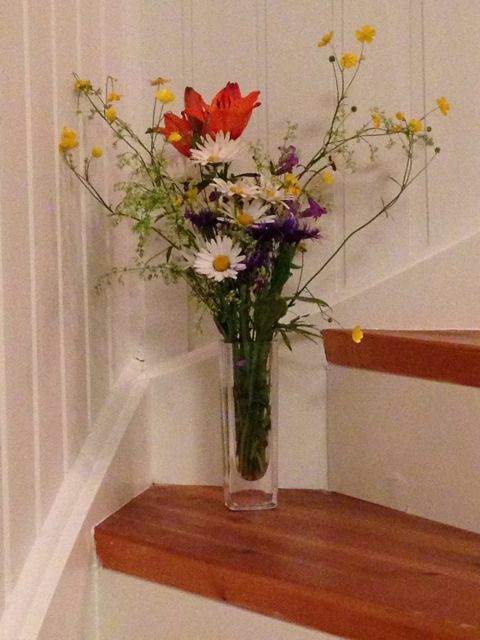 I always have at least one bouquet in the house. 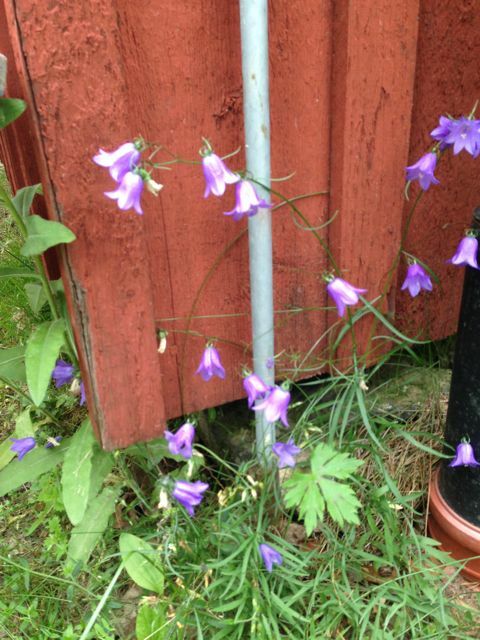 …but they do grow like weeds all over the countryside. 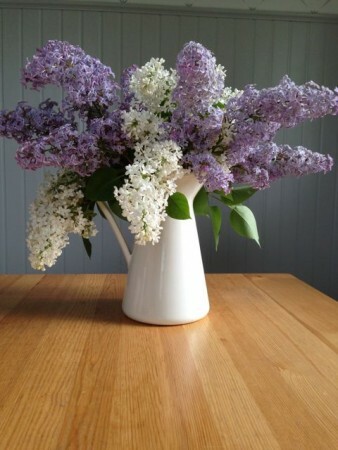 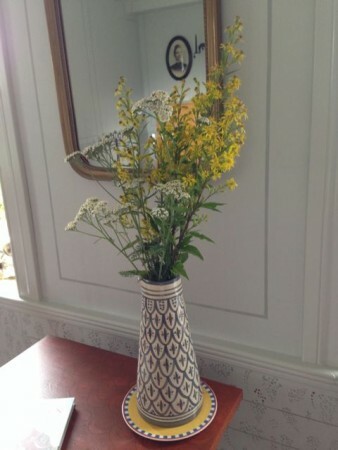 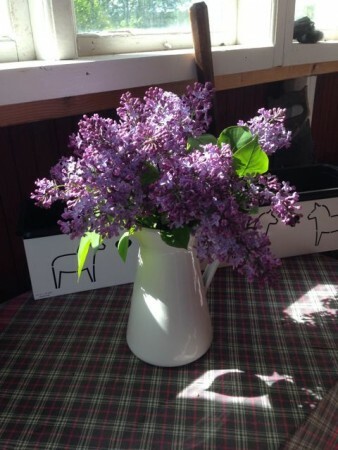 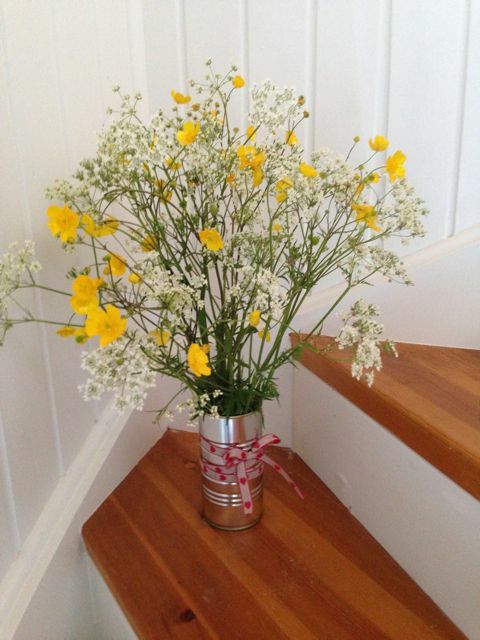 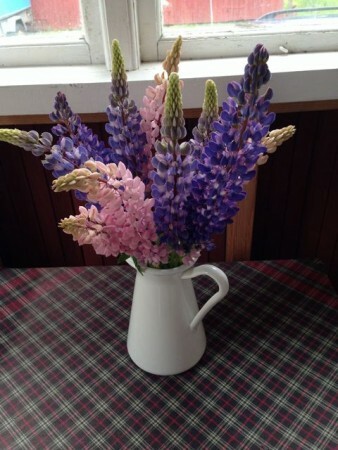 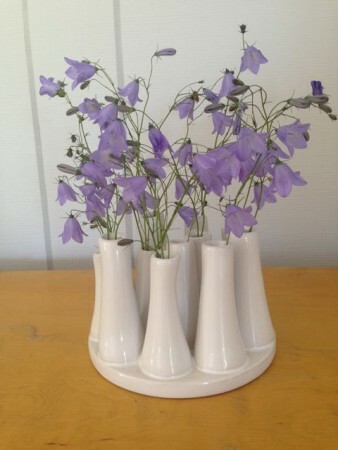 They’re really fragrant so these bouquets are often relegated to the porch! 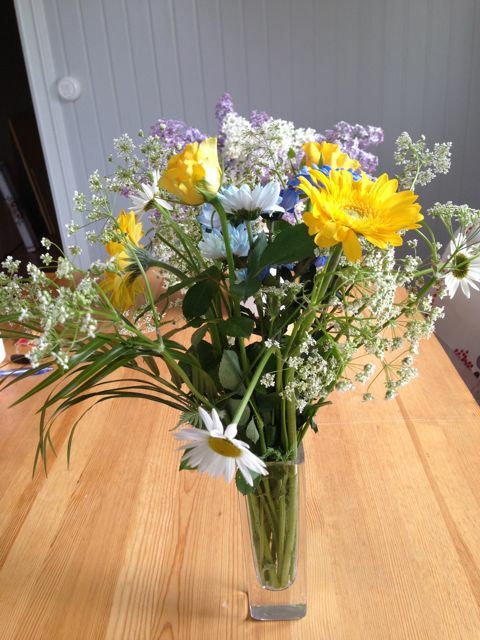 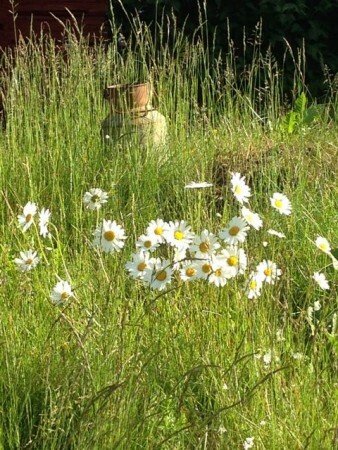 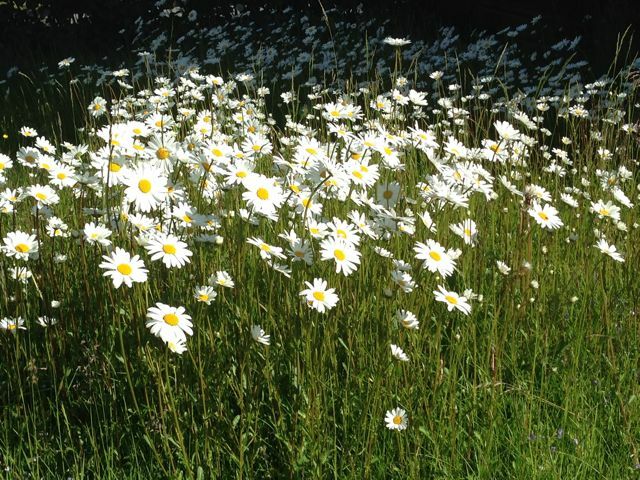 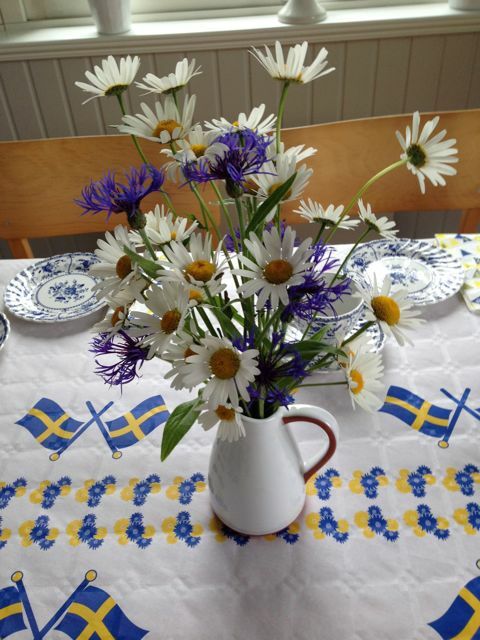 Of course daisies are the quintessential Swedish wild flower. 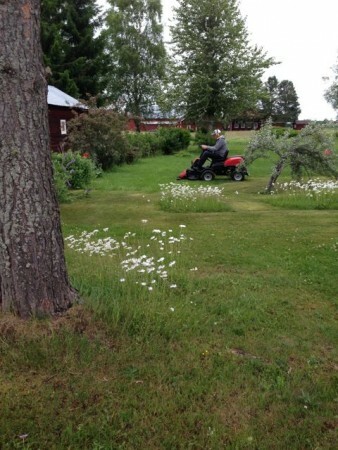 Like our neighbors, we mow around them in our lawn. 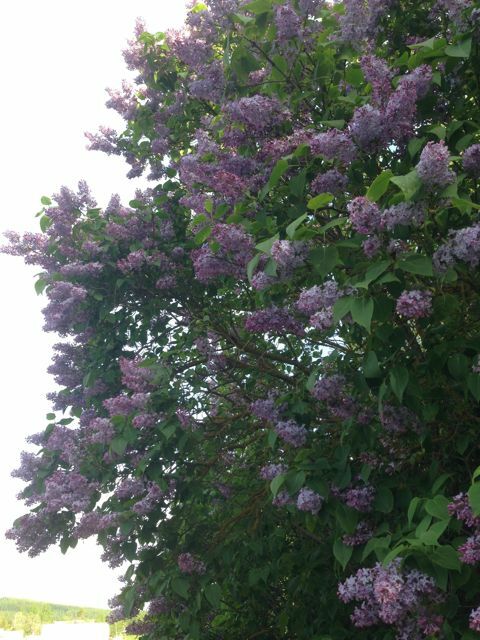 I see them everywhere on my morning walks. 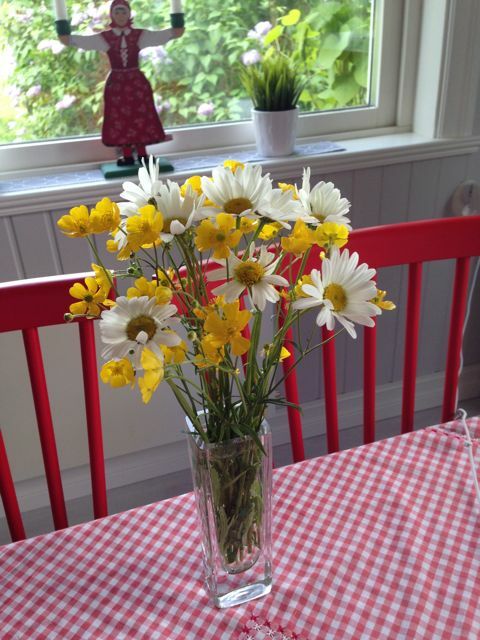 These were on our table at midsummer. The orange lily and blue flowers are something that come up every year in our yard. 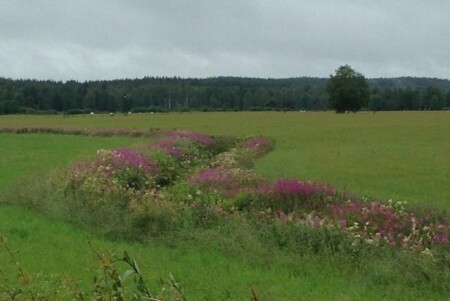 There are lots and lots of long stemmed butter cups in the fields around our house. 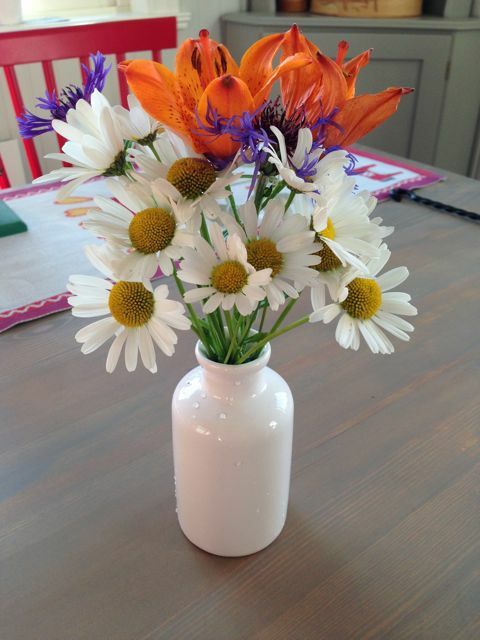 I think they look so pretty with the daisies. 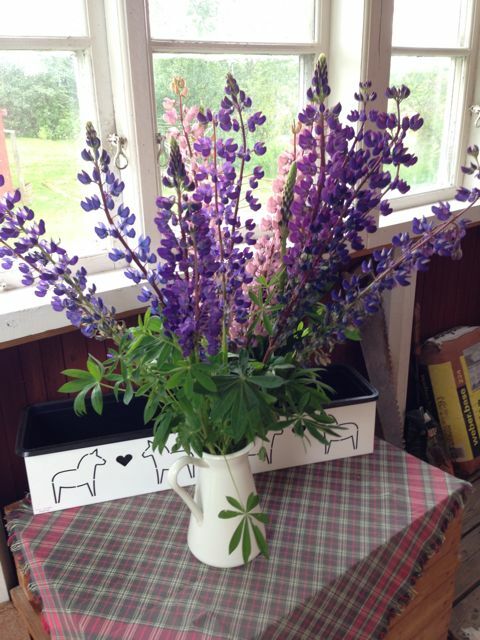 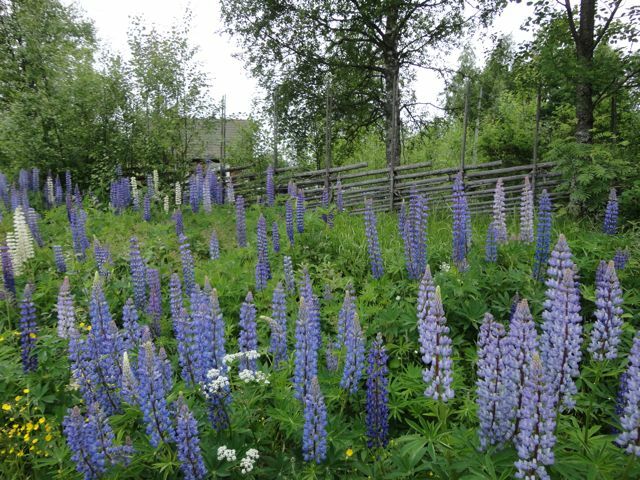 Lupine have to be one of the most prolific and showy of all the wildflowers. 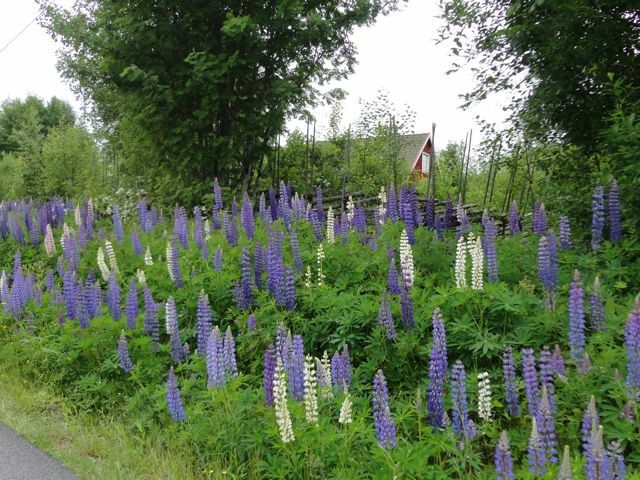 They grow in abundance along the roadsides. …and here is the meadow bell. I think the mixed bouquets are my favorite. …and there’s quite a variety. The yellow flowers here are a type of dandelion. 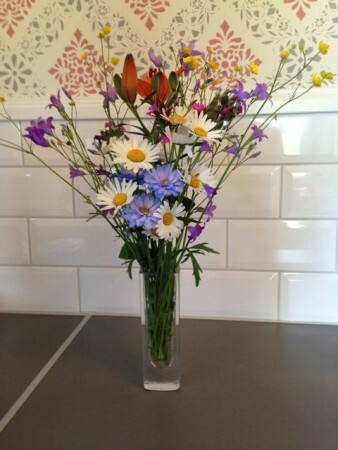 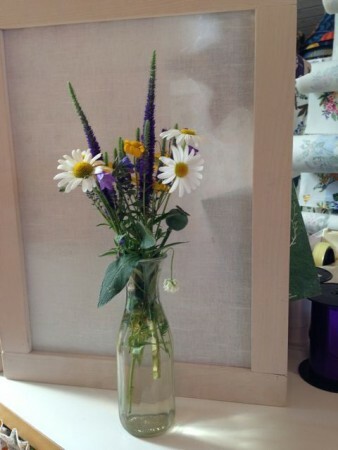 This sweet bouquet was on the counter of Jobstryck – a shop that hand prints fabric. So simple but so appealing. 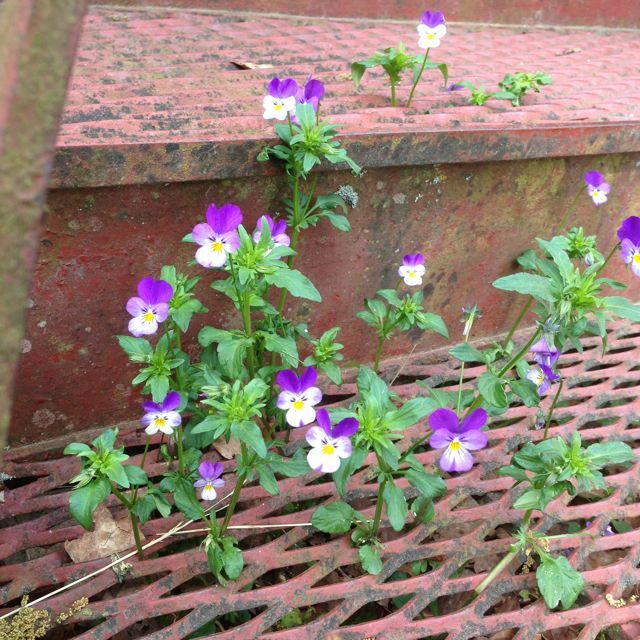 My grandma always called these Johnny-Jump-Ups. They are tenacious little things–growing between the rocks next to our log building and even poking their heads up through our porch steps. 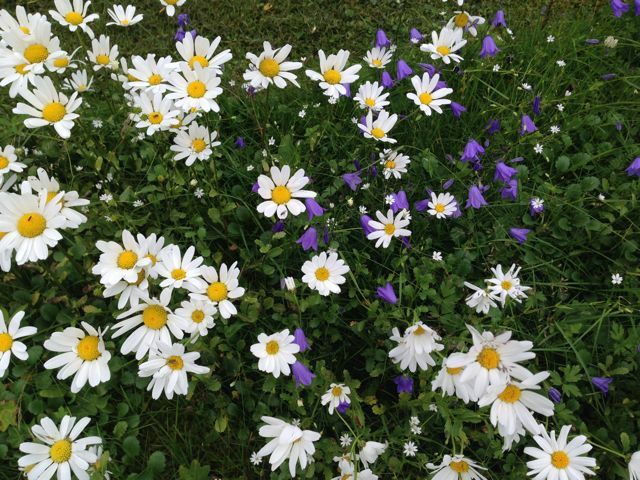 I love their little smiling faces. 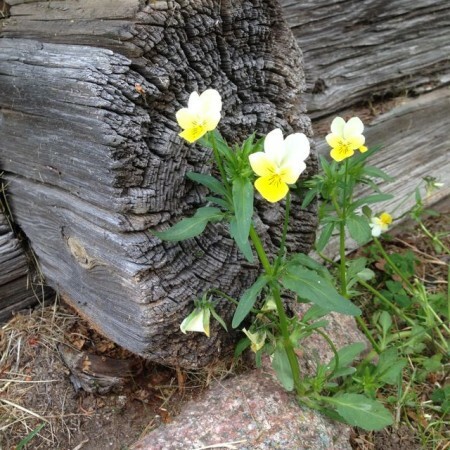 Wildflowers everywhere–even along the ditches.